I did some search on the forum but could not come up with a good location. Am looking for Switched 12V (switched on with the ignition key) locations to tap into in the rear trunk of my 2004 Boxster Base. Something I can use for powering the main contractor assembly for my conversion. 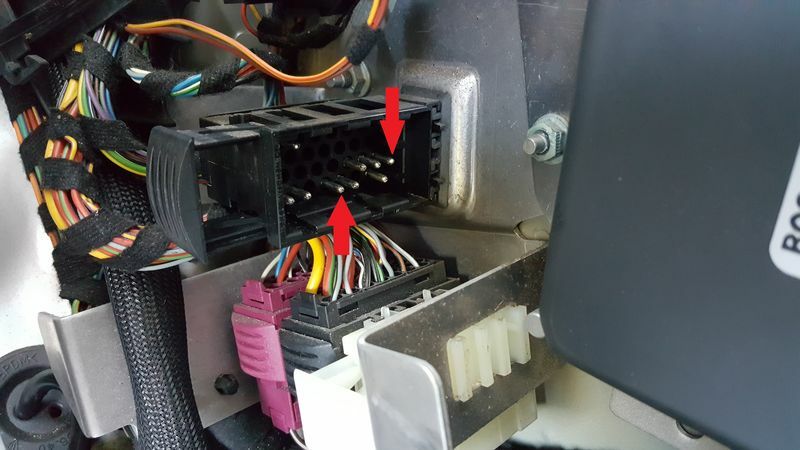 Reasonable current capacity will be ok.
"X59 Plug pin location 4 White plug next to ECU (left of ECU) Red wire blue stripe fairly heavy wire come from ignition relay and turns off about 30 seconds after ignition is off." However don't know which is the X59 connector and how to identify pin 4. I could easily put a meter to couple of the leads but the fact that the Switched 12V remains active for a few minutes after key is turned off makes things a bit difficult. Hence my request to post a pic with some brief info. Appreciate the help in advance! Okay, so I did some measurements and answered the question for myself. 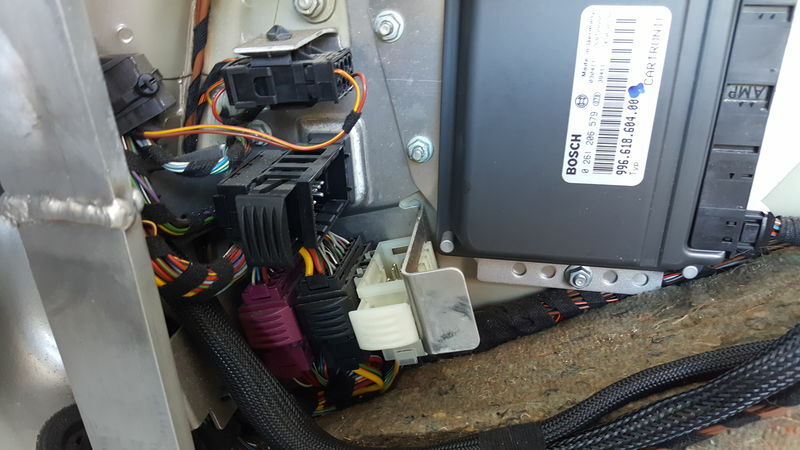 I was able to find Switched 12V on two pins of the black connector which is perpendicular to the white connector just to the left of the ECU in the rear trunk. For whoever is interested and can use this in the future, I am pasting two pics. One showing the location of the connector and the second a bit of a closeup and the pins marked with solid red arrows. I measured and both these pins show 12V when switch is ON and the voltage is gone when switch is off. the 12V does not linger as it does in some other places as it is needed there.